CHALLINOR: Peacefully, at Penrith Hospital on Friday, 5th April, Joan (Granny Alice) of Ellonby, Penrith, beloved wife of Geoff, much loved mum of Janis, Ellen, Wesley and Mark, a sadly missed granny, great-granny and great-great-granny. Aged 88 years. Funeral Service was on Friday, 12th April at Carlisle Crematorium. If desired donations in memory of Joan for Penrith and Eden Community Hospital League of Friends may be sent c/o Richardsons Funeral Directors, Victoria Road, Penrith, CA11 8HR. LOWIS: Unexpectedly, at home, with his loving family, on Tuesday, 9th April, John Totty of Pennine Way, Penrith, dearly loved husband of Christine, much loved dad of Karen, Jane, John and Chrissy and a loving grandad to all his grandchildren, who will be sadly missed by all who knew him. Aged 71 years. Service at St. Andrew's Church, Penrith on Thursday, 18th April at 1.00 pm followed by interment at Penrith Cemetery. Flowers welcome, or if desired, donations for Pride of Cumbria Air Ambulance may be sent c/o Richardsons Funeral Directors, Victoria Road, Penrith, CA11 8HR. BUTTERWORTH, Gareth: A truly gentle man, who died peacefully in the care of the Lord, at home in Greystoke, Penrith on Friday, 5th April, aged 75 years, devoted husband of Betty, much loved father of Joanne and Glyn, caring father-in-law of Anne, loving grandad of Jade, Tarn, Sapphire, Ella and Megan, and thoughtful great-grandad of Archie and Elsie. You gave yourself to all of us. Gareth was a well-known Lakeland tour guide and lifelong Everton supporter. Committal at Carlisle Crematorium on Monday, 15th April at 9:40 am followed by a Thanksgiving Service at St Andrew’s Church, Greystoke, Penrith at 11:30 am (bright clothing encouraged). Family flowers only, donations, if desired, for Prostate Cancer UK may be sent c/o Richardson’s Funeral Directors, Penrith. LEWTHWAITE: Suddenly, at the Cumberland Infirmary, Carlisle on Tuesday, 2nd April, Brenda of Skirwith, Penrith beloved wife of John, much loved mother of Mark, dear mother-in-law of Dee, sadly missed sister of Linda, Ken, Janet and family and a good friend to many. Aged 72 years. Private cremation followed by Service of Thanksgiving at St. John the Evangelist Church, Skirwith on Monday, 15th April at 2.00pm. Family flowers only, but if desired donations which will be divided between Pride of Cumbria Air Ambulance and Cancer Research UK may be sent c/o Richardsons Funeral Directors, Victoria Road, Penrith, CA11 8HR. BLAIR: Peacefully, at Penrith Hospital on Tuesday, 2nd April, Olive of Bolton, Appleby, beloved wife of the late Freddie, much loved mum, grandma and great-grandma. Aged 90 years. Service and cremation at Carlisle Crematorium on Wednesday, 10th April at 3.00pm. Family flowers only, but if desired donations for Penrith & Eden Community Hospital League of Friends may be made at the Service sent c/o Richardsons Funeral Directors, Victoria Road, Penrith, CA11 8HR. FAITH, Née Wilson: Suddenly, but peacefully, at home, on Saturday, 23rd March, Freda of Hillcrest, Penrith, beloved wife of the late Frank, much loved mum of Alan, Anne and the late Graham, a loving grandma and great-grandma, sister of the late Ruth, Dorothy, Stanley, Fred, Lawrence, and Audrey who will be sadly missed by all who knew her. Aged 95 years. Service at St. Andrew's Church, Penrith on Friday, 12th April at 12.30 pm followed by interment at Penrith Cemetery. Family flowers only, but if desired, donations for Penrith and Eden Community Hospital League of Friends may be sent c/o Richardsons Funeral Directors, Victoria Road, Penrith, CA11 8HR. ETHERIDGE: At the Cumberland Infirmary, Carlisle on Sunday, 24th March, Maria, Anna (Marianna) of Great Salkeld, Penrith. Service at St. Catherine’s Church, Penrith on Thursday, 11th April at 12.00noon followed by interment at Penrith Cemetery. Family flowers only, but if desired donations for RSPB may be made at the Service sent c/o Richardsons Funeral Directors, Victoria Road, Penrith, CA11 8HR. WALKER: Peacefully, at the Cumberland Infirmary, Carlisle on Friday, 22nd March, Iris of Warwick Place, Penrith, dearly loved mother of Chris and Pam, mother-in-law of Alison, treasured nana of Joe and Tommy, a greatly missed sister of Carol, Audrey, John, Lynn, Diane, June and the late Pauline, sister-in-law, aunt and good friend to many. Aged 78 years. Service and cremation at Carlisle Crematorium on Friday, 29th March at 11.40am. 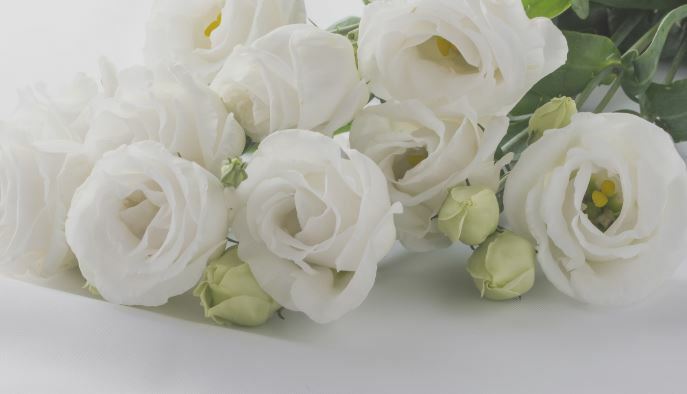 Family flowers only, but if desired, donations in memory of Iris, for the British Heart Foundation may be made at the Service or sent c/o Richardsons Funeral Directors, Victoria Road, Penrith, CA11 8HR. HARRISON: Peacefully, at the Cumberland Infirmary Carlisle, on Sunday, 17th March, John of Penrith, much loved husband of Pamela, brother in law of Claire and Bob, loving uncle of David, Paul, Jamie, Greg, Darren and Catherine, cherished cousin of Linda and Helen. Aged 90 years. Service at Christ Church, Penrith, on Friday, 29th March at 1.00 pm, followed by private cremation. Family flowers only but if desired, donations for Pride of Cumbria Air Ambulance, may be sent c/o Richardsons Funeral Directors, Victoria Road, Penrith, CA11 8HR. ECCLES: Suddenly, at the Cumberland Infirmary, Carlisle, on Sunday, 10th March, Nigel of Knipe, Penrith. Aged 63 years. Dear husband of Hazel and a loved father of Fraser. Service at St Patrick’s Church, Bampton Grange on Monday 25th March at 2pm followed by interment at Bampton Cemetery. Family flowers only, but if desired, donations for Parkinson’s UK may be sent c/o Richardsons Funeral Directors, Victoria Road, Penrith, Cumbria, CA11 8HR. AIREY: Peacefully, in his sleep, at Cold Springs Park Care Home, Penrith, on Wednesday, 13th March, Kenneth of Penrith, dearly loved husband of Betty, loving father of Keith and Ruth, father-in-law of Amanda and Frank and a much loved grandad and great-grandad. In his 91st year. Service and cremation at Carlisle Crematorium on Friday, 22nd March at 3.40 pm. Family flowers only, but if desired, donations for Jigsaw Cumbria’s Children’s Hospice may be left at the Service or sent c/o Richardsons Funeral Directors, Victoria Road, Penrith, CA11 8HR. KIRKPATRICK: At the Cumberland Infirmary, Carlisle on Thursday, 7th March, Kerry formerly of Penrith, much loved mum of Lesley, Pauline and Ian, mother-in-law of Andrew and a sadly missed nan Kerry of Joshua, Oliver and Sophia. Aged 85 years. Service and cremation at Carlisle Crematorium on Tuesday, 26th March at 11.40am. Family flowers only, but if desired donations for Eden Animal Rescue may be made at the Service or sent c/o Richardsons Funeral Directors, Victoria Road, Penrith, CA11 8HR.